I spent many hours preparing for the Careers in Golf networking event, and in the process looked through hundreds of resumes. It became very clear to me that the same few mistakes are made on almost every resume. Here are the biggest 5 mistakes I found that you should look to avoid in your own resumes. Typos - This goes without saying, but everything needs to be spelled properly and have the correct number of spaces. 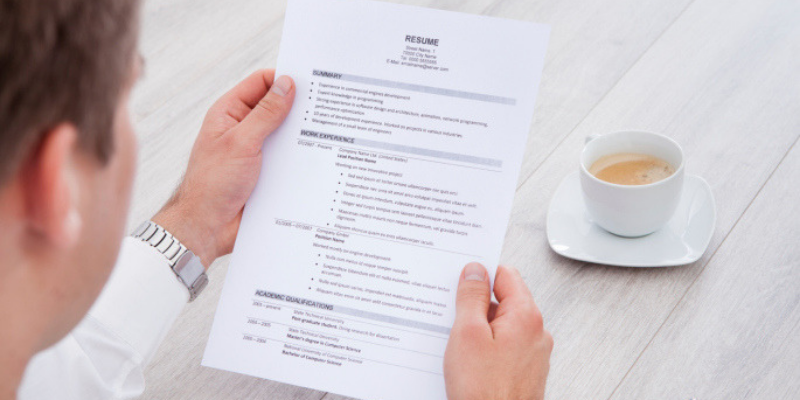 Even for candidates with otherwise flawless resumes, this can be a huge turnoff. Multiple pages - A good resume is never more than a page. If you have more things you'd like to include then fit on one page, you will have to pick the items that you believe showcase how you are the best fit for that specific position. If the employer wants more information about your personal or work history, they will ask for it. No graduation year listed - If the employer doesn't know your age and year in school, they will likely flip right past your resume. Even if you are a good candidate, they will typically not go out of their way to hunt you down and learn when you will be graduating. Styling changes - The spacing, font, size, color, etc. should all be consistent throughout the entire resume. Styling errors show a lack of attention to detail. Irrelevant information - A short resume with all relevant information is much better then a full length resume with a bunch of nonsense. This can make you seem less important or capable due to the fact that half of your resume is unrelated. Interested in using your new and improved resume to start a career in golf? Be sure to check out the Nextgengolf Job Board for open positions in the industry.